Many healthcare facilities attempt to do their own laundering, thinking that it will keep costs down. Instead, they’re faced with high water and electricity bills, staff that don’t have time to keep up with the laundry required, and linens that have not been processed to meet the high standards for cleanliness, safety and quality demanded by the medical industry. 1. You won’t have to worry about cross-contamination. Medical laundry services are different from restaurant or hotel laundry services. Medical linens and uniforms require special care and attention in laundering because of the blood, secretions, and other bodily fluids that these textiles are exposed to on a daily basis. Because of this, it’s imperative that your medical laundry needs are in the care of a facility that knows how to process these types of linens. When it comes to medical laundries, there are two accreditations you should look for to ensure that you’re getting linens that have been cleaned according to the highest possible standards set by the medical industry: HLAC and Hygienically Clean. 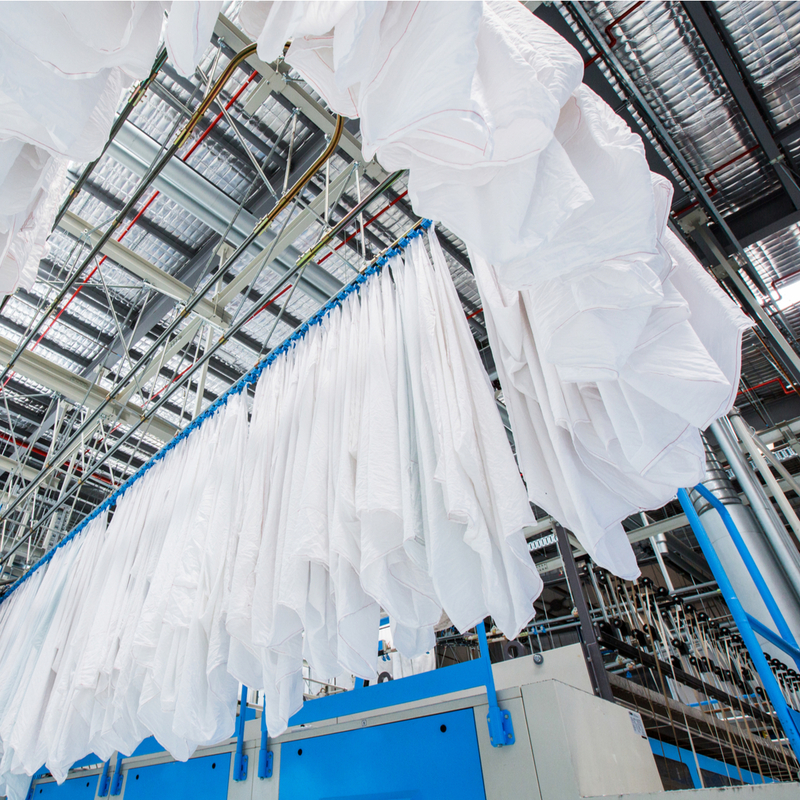 Laundry facilities that have earned these certifications not only comply with the law, but they go the extra mile to implement best practices for the handling and laundering of medical textiles. 2. Your staff will have time to do their jobs. Let’s face it: you don’t have the budget to hire staff just to launder your linens. So, chances are, if you decide to do your laundry in-house, you’re going to be relying on medical professionals with other more important responsibilities to be consistently on top of your laundering. A reasonably-sized medical facility could be looking at up to 7 loads per day. Washing, drying, ironing and folding the medical linens of an entire healthcare facility isn’t really a task that you can fit in-between taking care of patients. Additionally, your medical professionals aren’t laundry experts. They won’t necessarily have the training or the years of knowledge required to disinfect medical linens and uniforms so that they are safe for your medical facility to use. When you use a medical laundry service, you don’t have to worry about any of that. 3. You’ll get the right amount of linens at the right time. Your laundry inventory shouldn’t be dependent on how busy your staff was that week. With a medical laundry service from a reliable provider, you won’t ever have to worry about whether you have enough towels for surgery or sheets for your beds. All you have to do is specify how many linens and uniforms you need, and they’ll be picked up, laundered, and dropped off for you as part of your service. Need more linens and uniforms in your next delivery? For a professional medical uniform and linen rental, that’s no problem. You can focus more of your energy on the core of your business: helping people get healthy and stay healthy. A medical laundry service that benefits you. To find a medical laundry service that meets your needs, contact MEDtegrity today! We are the largest network of independently-owned medical laundry facilities in the country, and we have a provider that can solve all of your medical laundry issues. Give us a call at 888-893-3334 or fill out our online contact form to get started.